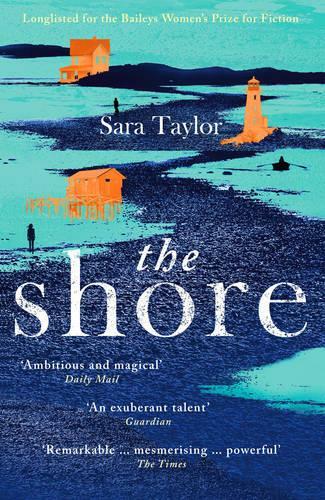 SHORTLISTED FOR THE GUARDIAN FIRST BOOK AWARD 2015 SHORTLISTED FOR THE SUNDAY TIMES/PETERS FRASER & DUNLOP YOUNG WRITER OF THE YEAR AWARD LONGLISTED FOR THE BAILEYS WOMEN'S PRIZE FOR FICTION 2015 The Shore. A collection of small islands sticking out from the coast of Virginia into the Atlantic Ocean that has been home to generations of fierce and resilient women. Sanctuary to some but nightmare to others, it's a place they've inhabited, fled, and returned to for hundreds of years. The women are united by both small miracles and miseries: from a brave girl's determination to protect her younger sister as methamphetamine ravages their family, to a lesson in summoning storm clouds to help end a drought. Their interconnected stories form a deeply affecting legacy of two island families bound not just by blood, but by fate. Drawn in by the glorious cover art, with its mixture of artistry and sly humour, I was delighted to find Sara Taylor’s writing matched the jacket.